Protecting their sense of order - having a tidy, clutter free and organised home. I've recently finished reading the insanely popular The Life-Changing Magic of Tidying Up: The Japanese Art of Decluttering and Organizing. It made my heart sing - I loved it SO much!!! I am one of the many people in this world who loves and thrives in a clean, tidy and organised space. My mind goes crazy with clutter and I cannot think straight around it. The author really spoke to me. "Order is dependent on the extremely personal values of how a person want to live." "Being surrounded by things that bring joy makes you happy." Ask yourself "Does this spark joy" when deciding what to keep and what to part with. "Choose those things that spark joy when you touch them". I believe this theory goes for children's things too - from clothing, toys and materials. "Discard anything that doesn't spark joy". Tidying is a good way to get to know ourselves - find out what is important to us, gives us fresh air and space. "Tidying is a way of taking stock that shows us what we really like". However in the last seven or so years there is has been a clash in my life, a conflict. Having children really conflicted with my need for peaceful and organised spaces. Children require so much stuff. They grow (and develop) quickly and need more stuff and we store their old stuff for the next child. I haven't always had as much time as I would like to tidy, organise, de-clutter and even clean. As my children grow and now we are settled into this house things are improving. Yes, of course after finishing the book we (the children and I) did a major de-clutter. It's so important that we involve children in this process - they need to look after their own possessions and that involves putting away and making major decisions about what to keep. The book author (Marie Kondo) writes how at three years old a child can tidy, once they are responsible for their own space, put things away where they belong. Also saying "Of the many people I've met that are not good at tidying, often their mothers cleaned their rooms for them or they never had a space that they felt was their very own.". We know this aligns very well with the Montessori philosophy and protecting the child's sense of order. Items/materials need to be stored in a logical position - where it makes sense. Returned to where they are stored so they can be found again or used by someone else. And how important this is while the child is in the period of the absorbent mind! "The little child's need for order in one of the most powerful incentives to dominate his early life. A sensitiveness to the orderly arrangement of things, to their relative positions, is contemporaneous with simple perception, i.e. , with the first taking in or impressions from the environment." Maria Montessori, The Absorbent Mind. To identify when clothes/materials/toys are broken, don't fit or don't work any more. That everything has a place. Clothes/materials/toys can be put away once we have finished using them. The reason why we put away our materials/toys - to care for them/don't step on them/can find them. To find a place for new materials/toys brought into the home. Do we need to hand down toys to make space for new ones? To respectfully use and maintain materials/toys and living spaces. This shows respect for others and our community. To live within our means. Not to over consume - keep what we need and use/love. Create and maintain beautiful home/work spaces and environments. Polk Lillard and Lillard Jessen also write about the importance of an ordered environment for the very young infant. "It is important now to take time to think about the organisation of the home (or any other setting where a child of this age is to spend significant periods of time). Does it make sense? It is ordered, simple and functional? Is it beautiful? We want the baby to discover an orderly environment and thereby incorporate this order within her own mind. This is the opportunity to establish 'a place for everything and everything in it's place' before baby is off and about, doing her own 'rearranging'. And we must be able to quickly and easily straighten and tidy rooms." Children's "sense of order is far more intense than ours at this age because they are constructing themselves and their understanding of the world." Susan Mayclin Stephenson. Children Learn What they Live: Parenting to Inspire Values (also a recent inspiration) state the importance of having family rules which really go hand in hand in maintaining an orderly environment - "Having house rules gives children a comforting sense of predictability and makes it easier for them to understand what is expected of them. They know that when they follow the rules of the house, they are meeting with our approval, even when it is unstated." We still have a couple of cluttered areas. Our down-stairs storage area and garage need work. I want to stress that our home isn't perfectly organised - but we love an organised work space. Orderly spaces are more inviting. Looking after, putting away shows respect for our possessions and they will last longer, look better, function better. We can access them when needed, they will fulfil their purpose. These are great lessons to pass onto our children. Respect, buy quality, buy/consume what we use - get rid of it once it stops doing it's job. Lego has always been a big problem in our home. There have been times, weeks when I have allowed the boys to spread it out over their bedroom floor. It always gets out of control. Now our family rule is the lego doesn't move outside of this activity table. Lego not being used goes in the sliding red drawer. This activity table has a solid lid (it is removed in the above picture) which is perfect for when they want to play with something else and it instantly reduces visual clutter (and stops the lego from getting dusty). Good storage ideas + family rules = tidy room. Clothes are pretty simple. My children don't have a lot of clothes (which is why they are frequently wearing the same things). Too many clothes means too much washing - some how it just piles up more, gets left on the floor more. Less clothes means the children can easily see and put away their clothing. I believe they look after it better. They both have folded clothes (shorts, pyjamas, socks, underwear) and hanging clothes all easily accessible (here is our article on our low hanger). The clothes are not always neatly folded but they are always in the basket. Family rule - no clothes on the floor, clean clothes are put away, dirty clothes in the clothes basket. A quick note on family rules. For us these are generally unspoken. The children (generally) learn very early what is expected (from a toddler Otis put his own dirty clothes in the dirty clothes basket, picked up his toys). However they need to be reinforced. If I see clothes on the floor I might just pick them up and say nothing. But if I constantly see clothes on the floor I will gently remind the child to put the clothes away. If we are inconsistent or don't reinforce the rules - they will not be effective. Occasionally I need to ask the boys to put things away but generally they are ok with it (they are not perfect or extraordinary). Edited to add: When the boys were younger (and we didn't have so much Lego) we loved and used the Swoop Bag. Our activity table as above is from the Australia company Mocka. It's really affordable, quick delivery, we also have their coloured children's table and stools. New Zealand site is here. Please feel free to leave a link if you know of a similar product overseas (especially in the UK or US) or other Lego storage options that work for your family. This is such a fantastic game although we haven't played a lot of it until recently. Otis has been asking to play it with geometric solids which I believe is an idea he has taken from school. The hidden object game can be played with any objects of which the child is familiar with (think toys cars, coloured blocks, household objects). It is important the child knows the name of the objects - a three period lesson is a good way to teach this if the children doesn't know. The number of objects used would depend on the skills of the child. A young child could start with three. We have built up to using eight geometric solids as I have needed to keep on challenging Otis. Otis lays out the geometric solids and names them all. This is a fantastic way for the child to demonstrate their knowledge. Otis loves telling me the names of the geometric solids. Once the child has seen all of the objects have them close their eyes. Otis is trustworthy with this but a blindfold, having the child turn away or working under a blanket/cover may work as well. When the child isn't looking remove one object (or two as a challenge). I usually hide the object behind my back. The child then looks at the objects and determines which one is missing. If the child has difficultly in determining which object has been removed little hints can be given. Then comes the fun part - take turns and allow the child to hide an object while you close your eyes! Nature Anatomy by Julia Rothman - Review and Giveaway! Have you read Nature Anatomy? You may remember I listed in it our post What we are reading April 2015. The great news is that Storey Publishing has contacted us for a review and a giveaway! In her new visual guidebook, Nature Anatomy, noted illustrator Julia Rothman invites readers to share in her delight at the small wonders of the natural world. With more than 700 original full-color drawings, this book is chock full of irresistible images accompanied by intriguing facts. From the shapes and names of mysterious mosses to the anatomy of a mushroom, the phases of the moon, and the interior of a beaver lodge, Rothman's illustrations are sure to awaken the natural curiosity of people of all ages. This charmingly quirky nature guide covers leaf shapes, bird nests, types of insects, animals with antlers, the ecosystem of a pond, the life cycle of a salmon, wildflowers, and much more. In a highly browseable package, Nature Anatomy is a book that can be returned to often for fresh inspiration and fascinating facts. Nature Anatomy is perfect for taking on a nature walk around the neighbourhood, on a visit to the arbotetum, botanic gardens, national park or to the beach! It is perfect for nature journalling, to set up at home with natural materials for an exploration or to simply place in a home library or children's bookshelves for the children to independently explore. It is beautiful, whimsical and charming. A pleasure to have in our home. There are lots of opportunities to use the book for identification although please note the species are American. It also provides the opportunity to spark an area of interest. Illustrations are used to describe natural processes, life cycles, anatomy (of plants and animals) and the text supports with lot of useful facts and information. The book is 223 full colour pages and would make a lovely gift. Nature Anatomy would also be a good addition to a school library or class resources. The depth of information and the range of topics is just right for my children. Nature Anatomy covers Caspar's (7 years) areas of interests including fossils, land forms, volcanoes, ecosystems, water cycle and anatomy of jellyfish!! It also covers Otis' (four years) areas of learning including metamorphosis, life cycle of frogs, anatomy of a flower and birds and you know he loves nests! It satisfies his interest in insects, snakes and lizards. The illustrations are also really useful for children who are learning nature journalling and illustration. Julia Rothman is also the author of Farm Anatomy (check out it's amazing reviews) and Hello NY. Her illustration work has appeared in numerous books, magazines, and newspapers, and she designs a line of stationery and wallpaper. Her favorite place to explore nature is Prospect Park, near her home in Brooklyn, NY. She has also illustrated for Kid O! We have two (2) Nature Anatomy books to giveaway. Storey Publishing has offered one book for a giveaway and I will be giving away our review copy (as we already own this book!). One book will be open to all entries (international), the second book will be open to Australian entries only. To enter please leave a comment below and mention your favourite way of connecting with nature with your children - and your country of residence. Please only one entry per email address. Comments will close Sunday 28th June 8PM AEST (Australian Eastern Standard Time). I will contact the recipients directly by email. Comments have closed. I have now emailed both recipients. Amber (international) and Ellen (Australia) will be receiving their books soon. I hope you both enjoy! 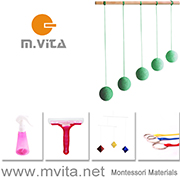 Montessori Curriculum, Books and more. I don't read a lot of parenting books however there was something that Meg said to me recently (about how to teach children empathy) that drew me to Children Learn What They Live: Parenting to Inspire Values. I read the Kindle version over the weekend and I couldn't wait to tell you about it. It really made me think about my parenting, how my husband and I address, speak to and approach our children and so much more. I have put a link to it in the side bar and I will be recommending it to all the parents I know. Have you read Kelly Johnson's (a former Montessori elementary teacher) Wings, Worms and Wonder blog? This site and Kelly's book by the same name are a Montessori nature lover's dream. These are both really wonderful resources, this post includes a really cute idea (growing seeds for observation in an empty CD case). I have bookmarked a few ideas for the school holidays but I love this site/book for teachers - can there be too much nature in the class room? A huge thank you to Kelly for going to the effort of shipping her book to Australia for me - I know international shipping is a hassle for many small businesses and I appreciate her efforts. I was looking for some specific materials recently and stumbled upon this store Sticks and Stones Education. It is adorable and has many natural materials and play scenes that are so hard to find. I will be keeping this site bookmarked! We recently received our school report (for Caspar age 7, who is in a Montessori school). Each school report I have read (from two different schools) have been different and I never know how to interpret them. I'm happy there is no pass/fail or grading systems but I always have questions about the reporting process itself. It helped a lot once I realised (thanks again Meg!) that the schools we have attended use the Montessori National Curriculum. Montessori along with Steiner and the International Baccalaureate have approved/registered alternative curriculum frameworks. Wow what a difference it makes now I know that. And it makes so much sense - these 'alternative' schooling systems operate in really different ways so of course the curriculum and reporting processes are different. The Montessori National Curriculum is also a really useful document for parents. It's a large document but it really helped me process what and why my children are learning/being presented at school. If you are in Australia I recommending finding out if your Montessori school uses the Montessori National Curriculum (if they don't ask why not!) and if you want to know more about the Curriculum your school may be able to help. I have a really great give away happening on Thursday (again for nature lovers), if you are an infrequent reader please drop back in then! Top Otis is using a hammering set. Above Otis is using a variety of sea animals (the whales/sharks/rays are Schleich) in a large tub. More pictures here. After a morning of running around with soccer and shopping Otis who is slightly unwell settles in to do some work. We are one week away from school holidays and we are starting to plan some outings and activities. It's a good time for me to look at our shelves (for both boys) and perhaps make some changes before the holidays are here. Matching International Flags. We have a card at the top of the work mat which allows us to accurately name the country the flag belongs to and to ensure the flag is positioned correctly (right way up). A glimpse of our shelves. Felt vegetables (Otis insisted on taking these home from Ikea), Magnetic Blocks, Mobilo. Fresh from the nursery (because you can't have too many indoor plants and I love them in the children's spaces), a new plant to pot and a beautiful wooden rainbow. Matching animals to their skin/fur/scales. Sound matching. Otis is looking at the control on the bottom of the matching sound blocks. African animals. We are adding to our African animal collection (our local toy store has Schleich on sale) but have been confused with some animals - checking which animals are African has led us to learn more about this continent. There has been a lot of sewing, thinking and reading about sewing going on in our home. Here are a few Montessori sewing ideas that we are loving. 1. Sewing Buttons on Burlap at Ann Arbor Children's House. 2. Sewing Pouches at Ann Arbor Children's House. 3. Sewing Buttons using an Embroidery Hoop at How we Montessori. 4. Sewing Cards at How we Montessori. 5. Easy Sewing Cards at Mr Printables. 6. Running Stitch/Embroidery following a line (Triangle) at Montessori Album. 7. Sewing Kit with Wooden Button at Montessori Services. 8. Burlap Embroidery (Heart) at Carrots are Orange. 9. Free Sewing/Threading with Rainbow Wool and Burlap at How we Montessori. 10. Sewing Together using a Tapestry Table at To the Lesson (This is a fantastic group piece!). 11. & 12. Continent Sewing at Montessori Design (I love how they filled-in the continent). 13. Cross-stitch Embroidery Exercise at Montessori Services. 14. Letter Embroidery at Fairy Dust Teaching (I love combining sewing with some letter work!). 16. Sewing Heart Pillows at University Montessori School. 17. Sewing Lavender Sachets at Pink Pistachio. 18. Embroidery following a line (child's hand on dish towel ) at Trillium Montessori. First I need to say that every idea in this post is attributed to Sewing in the Montessori Classroom: A Practical Life Curriculum. These are own take/versions but this excellent book has given me lots of ideas and inspiration and looking at Otis' enthusiasm and concentration today, I know there will be more sewing from this book in our immediate future. I am starting to put together a sewing tray/basket for both children to use. To encourage more free/hand sewing. In their basket I have these little snips as above and below. To give Otis some practice in using them (and because I knew he would love the process) I have presented him with a thread snipping tray. Isn't it a great idea to use little jars (we've used old baby food jars and I've punched a hole in the metal lid) so the thread doesn't unravel. This took concentration and hand strength. Even with little nail scissors this would be a great scissor/cutting activity for younger children and possibly toddlers. Otis has experience in threading (cotton reels/pasta), sewing cards, free embroidery, sewing buttons and hand sewing. I have never shown him how to thread a needle. I only just realised this - how ridiculous of me. We have a different needle threader to the one used in the book but the set up is the same. I never would have thought to isolate the activity like this. With our big embroidery needles Otis could almost thread it straight through the eye of the needle. However often we need to use smaller needles especially when sewing buttons (embroidery needles are often too large/thick to pass through the button/they get stuck). Here Otis is threading quite a small/fine needle. After a couple of demonstrations (he asked me to repeat it a few time) he got it on his first attempt but it took and still takes a lot of concentration. Above is his 'concentration' face. I actually haven't seen him work and concentrate this well for a long time. Lots of concentration = engagement. And look at those fine motor skills in action. I still haven't shown him how to knot/tie the end of the thread but that's next. But wow, now he knows how to thread a needle! Now back to making that sewing basket. I have been working to set up a permanent board game playing area for the boys. A place where they can store and leave out any board games they are playing. Because they are playing them a lot and there is always one game on the go. Board games are perfect for the school holidays, weekends, rainy days, anytime really! However we have recently changed the type of board games we are playing. We have converted to cooperative board games. Friday nights with pizza the boys would often get out some board games. Connect Four, Battleships, Twister. They are all fun games but I found the boys played with a bit of aggression, a lot of competitiveness and complaining about (usually my four year old) not following the rules or cheating. It often ended badly and everyone was left feeling a bit upset. I knew of cooperative board games but thought they might be too alternative and might not capture the attention of my children. With cooperative board games there are no winners or losers. The players work together as a team to achieve a result. Players help each other to follow the rules as they are a team, not competitors - they support each other. It's a completely different atmosphere. If one person needs a few minutes to take a break then one player can keep on going. Cooperative games can also be played with just one player (with Gaia's Garden Caspar will often play alone). There is a lot more sharing, a lot more laughing. Some contentment at the end of the night that everyone has had a good time. A game like the Hoot Owl Hoot is wonderful to play with Otis. It's perfect for his age group and he can follow the rules easily - so much so that he loves following the rules and will correct others if they have made an error. This game can also take only 10-15 minutes or you can play an extended version (with more owls) and have the game take longer. The aim is to get all the owls into the nest before the sun rises. This is absolutely the best board game I have found for children 3-4 years old. The Yoga Garden Game is just a delight. Also good for the 3-4 year olds however they will need to play with someone older. And perfect for four and seven year old children to play with their mum. This is a good movement game! The children are learning yoga poses as they go. The illustrations on this one are so sweet. Caspar loves Gaia's Garden and has taken in so much information about companion gardening. How fabulous is that - he is playing a board game yet learning about gardening. Otis can definitely play this one but will start drifting off after around 10 minutes. The aim is to plant the garden (using companion gardening) without the garden being eaten by insects and watch out for the predators. Gaia's Garden was designed right here in Queensland so it has earned a place on our shelves. Cooperative games like these still have all the benefits of traditional board games. Lots of learning, following rules, counting, taking turns. Some with colour recognition, some planting knowledge, some yoga poses. With all of our cooperative games we have needed to read the instructions first - it usually takes five minutes or so before we work out how the game is played. But once everyone knows the rules they are all in! Don't you think this is a more Montessori way of playing? I love Montessori printables and use them all the time. This is a Living/Non-Living activity which I arranged as Otis was struggling with the concept. This replaced the Sink/Float and Magnetic/Non-Magnetic activities on his shelves. There are quite a few activities like these which are great to do at home. 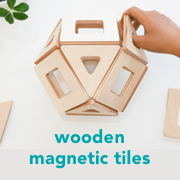 At home we have and use different materials (for example it's likely we use different floating or magnetic items) - it can still be interesting and fun even for a child who has done a similar activity at school. Other printables we have used are Families or Mother/Baby Cards, Initial Vowel and Consonant Cards, Parts of a Leaf Cards, Sequencing Cards. Sometimes I browse printable sites and bookmark what captures my attention and what I find that Otis might like. Etsy is another place to find fun printables. It's easy for us to automatically think that our kids won't like something or think they are too old for an activity. Otis brings home a pasta threaded necklace from school almost everyday. He still after more than twelve months plus loves threading pasta. I had dismissed play dough until recently I made some for Otis' cousin. Otis wanted it - desperately. So I have been making play dough and filling his container with lots of fun and interesting materials. He's definitely not too old for play dough. Tonight for an hour after dinner - it's better than screen time. This container has an easy lid, the plastic clips on the side secure the lid - they are great for toddlers up. Otis is still a pre reader. As I've mentioned before he knows some letters, not all. He doesn't really know sound blends - I guess he's getting there. An activity I love is placing labels around the house. It is a great way to introduce the sight and written form for common household items. I will place the labels around the house and Otis will collect them. Or Otis (with Caspar or me) will take the tray of labels and place them around the house (we put blu-tack on the back). Most of the time the labels stay stuck around the house. Not all of the words are phonetic but with help he can get most of them. He only needs to work out the first three letter or so and then he can take a good guess. The intent isn't to have Otis knowing these words by sight. We try to work out or sound out the word. Some words can be worked out by knowing a few letters for example Otis knows 'pigs' in Guinea Pigs, 'sun' in Sun Flower, 'egg' in egg plant, almost 'bed' in bedroom. We have labels for people, pets, food, kitchen crockery, rooms, furniture and many other items. Pencil isn't a great example, we also have simple words like mum, dad, cup. We have around twenty cards in total. It's fun to look around the house and see these cute labels. And yes it's fun to have a the kids and parents walking around with labels stuck to our backs. Tomorrow's post is about Cooperative Games including a great recommendation for 3-4 year olds! I'm a total convert. I think most children are drawn to the cute board books about Chameleons. Otis asks for A Color of His Own every night, more than once and he knows it completely by heart. He also loves Blue Chameleon and The Mixed-Up Chameleon, all of these are classic and moral stories. Chameleons are a little mystical. Otis is obsessed. Stories and beautiful illustrations are one thing but I wanted to share with my Chameleon loving four year old some of the truly amazing, stunning features of a Chameleon that are non-fiction. Because nature is more beautiful. First I included a non-fiction book to our collection. The book includes incredible photographs. This is a worthwhile addition to our library. I made a Fun Facts about Chameleons flip book. On each page there is a fact (printed on 4x6 photo paper, laminated, hole punched and contained on a hinged ring) about Chameleons. The language I have used is deliberate. No dumbing down of the facts but brevity is key. And the facts are actually interesting! The language it's self could lead to further explorations. I also made a Parts of a Lizard Book and printed a selection of images of Chameleons. I included photographs of different varieties and different parts of Chameleons - lots of close up images showing interesting detail. I selected only the most amazing/clear images - the intent is to inspire! Many of the facts in the flip book relate directly to the images in the non-fiction book or images printed below. We have seen a real life Chameleon in captivity and it wasn't ideal viewing. The Chameleon looked very sad which of course leads to further discussion. The photographs are stored in a little drawstring bag and the tray is on Otis' shelves. It is there for when he wants to use it. He will look and explore or ask for me to read to him. His Chameleon story books remain by his bed ready for the night! This has been a lovely journey from story book to real life exploration. - Maria Montessori. The Absorbent Mind. The question I am asked the most is about Montessori activities for children 3.5-4.5 years old. Otis turned four last month so he fits within this age group nicely. I will do my best over the next week or so to show lots of the work Otis has been doing at home. With the exception of practical life. I have so many posts on practical life and even though it is a major part of his work at home I will try to cover more of the other 'activity' side of things. So I'm hoping you might find these posts interesting. Today I thought I would cover some of our not so Montessori toys. I'm not a big fan of plastic toys with the exception of Schleich or Bruder. But these three pictured have turned out to be favourites and well used. They are construction based 'mediums' and all three are on regular rotation. If I leave any of these out for too long they will stop being used. They are all stored on a basket/tray/bowl on Otis' shelves. The idea is that he can take them from his shelves and work with them on his work table, outside or on the floor. He can independently get them out, then when finished easily pack them up and put them away. The reason why these make it into our home is that I can see the educational benefits of all three. I see my child thinking as he uses them, I can see him concentrating. I can see him rotating his wrists, pushing, connecting, working his hands and fingers. I see him asking questions and answering them. Concentration is such an important thing with a four year old - it's everything. If a child cannot concentrate they cannot learn. And there is a lot of imagination in use here too. I also see my older son helping my younger son. Making spaceships or trains. Fixing, discussing, negotiating. Sometimes only for a few minutes. Sometimes for a few hours. I love a good writing centre, this one at The Write Start is seriously beautiful. My children always have access to lots of paper, pencils, markers, paints in all kinds of sizes, colours and varieties. They also have a sand tray, sandpaper letters, small chalkboard and a movable alphabet. However I wanted to create a tray, a set, an activity based on letter/note writing. A tray which contains everything Otis needs to write a letter to a friend or family member. Otis loves sending (and receiving) letters and messages. He loves drawing and sealing paper in envelopes. I wanted to enable him to write as independently as possible. Not all of his letters are for posting, mostly they are to given friends and family - we generally don't add addresses or postage stamps. Otis is still very much pre-writing. He can write his name independently however unless he has something to copy the 'i' and 't' might be around the wrong way and the 's' might have a few too many curves. The name cards are for him to copy. They are generally easy like 'mum' and 'dad', 'grandma' is by far the most difficult. This tray wasn't initially intended for literacy or to promote or encourage writing. It was for him to participate. To write letters all by himself, whenever he wants. The 'to' and 'from' letter paper provide prompts, to help him start and finish his 'letter', in the middle of the page he will scribble or draw or add sticker or stamps - perhaps to tell a story. These are his first real letters and the prompts teach him a little about format. As his letter writing skills (and knowledge) develop we could add the date, then addresses. By design this tray is very simple. Only a small amount of letter writing paper, only a few envelopes. I restock when he runs out. Other lovely options to add to the tray include stickers (the cuter the better, we love stickers! ), stamps, gel pens (colourful gel pens are a current favourite), glitter pens, washi tape (who doesn't love decorating their envelopes with some washi, my favourite source is here). Otis' tray currently has retractable crayons. I use them in my office all the time (the colours are great), Otis was sneaking mine so often he now has his own set. There are so many options we can add what we like! Have you tried Children's Massage or Reflexology? Have you tried massage or reflexology with your children? Do they enjoy it? Do you have any favourite massage or reflexology resources to recommend? My children love massage. It's relaxing, it's soul connecting, calming, centering, warming. At night before bed or with Otis just about any time of the day it helps to 'reset' and bring some peace. We have been using massage so often I thought it was time to explore some further techniques and options. I have been pretty much just giving Otis a back rub and I knew there was more out there. I found four resources I would look into including reflexology, Qigong and Story Massage. I know there are many courses dedicated to children's massage however I found these (DVD, book and CD) resources inspiring and educational. Many of these resources claim to assist with ailments although I have not tried them for this purpose. I can attest that each of these massage therapies work for promoting wellness and positivity. The Mouse's House. Children's Reflexology for Bedtime or Anytime by Susan Quayle. Prior to reading this book I had basically no knowledge of reflexology. It sounded good but I had no idea if it was suitable for our family. While not an everyday occurrence I love having this story book and some very basic reflexology knowledge to use with Otis. This book features easy to follow diagrams and instructions for giving basic reflexology while reading the charming story. Designed to help strengthen the bond process between parent/carer and child and offers a gentle remedy for sleep difficulties and anxiety. Definitely no prior reflexology knowledge or experience required. This book is non-intimidating, I found it a fantastic introduction to reflexology for children. A wiggly child may have difficulty staying still and for a ticklish child it will take a little getting used to. However this is just about getting them and you/me familiar with the process and being about to put some heart into the process/story telling which is/will be much more engaging. Qigong Massage for Your Child with Autism. A Home Program from Chinese Medicine (DVD included) by Lousia Silva. Qigong Massage. "Our love is Qi and Qigong is a way for us to give our love to our child in a way that makes them stronger and healthier." This method is based on a 15 minute massage, using twelve movements which are detailed in the book and in the DVD. Research has shown the program is effective for children with autism who are six years and under (who are not undergoing other intensive medical treatments). This research is based on the parent doing the massage treatment everyday for five months. Qigong Massage can also assist with sensory problems, stress and relaxation problems, repetitive behaviours, tantrums and meltdowns, aggressive behaviours, sleep and digestive problems. However Qigong massage is also totally suited to typically developing children for wellness. To understand Qigong massage it is important to have some understanding of "qi" (chee) energy. The book and DVD are very thorough, asserting that the person who is best to do the massage is the parent of other adult close to the child - not someone professionally trained in Qigong massage. The twelve movements are easy to do and with the movement chart at the back of the book are easy to remember/reference. To get the most out of this massage it needs to be done regularly and suited to the need of the child - the book/DVD helps with this such as moving from a energy clearing to filling movement. This is also an all body massage. I don't have children with or any experience with autism, however this massage comes highly recommended for all children. It takes a bit of patience and practice to have the child stay in one place for this massage however I have found my children to really take to it, in the moment they are responding to the movements. This turns out not to be a regular method for us however it has been so insightful and has influenced my interaction and my massage techniques with my children. Once Upon a Touch… Story Massage for Children by Mary Atkinson and Sandra Hooper. This method is the most fun and the one we use all the time! This is light and easy massage that goes along with a story. The book is ring bound (as pictured above) making it easy to sit open while you do the massage. It contains 35 stories including traditional tales (nursery rhymes), seasonal and imaginative stories, personalised stories and educational prose. There are ten different massage strokes - all very easy to remember and can be used on the child who is seated or lying on their front. The book has small symbols next to the story for you (the adult/parent to follow). Each story and massage is brief. Sometimes at bed time I will read/massage Otis 10-12 stories. I can definitely see the difference with Otis after the story massage. We will use this book before bed or even when I can tell Otis is tired but resisting sleep, or feeling grumpy/unhappy or even angry or frustrated. I feel it rejuvenates him, he regains his positivity and is relaxed. This book will stay off the shelves and next to the bed for a long time to come. This is also an easy type of massage for children to do on each other. My children are not at this point. Both would rather receive a massage then give it. The Guide to Children's Massage and Mandarin Massage Oil for Kids by iDibiDi Kids. With some types of massage, where I can, I like to use massage oil because I find it warming and the essential oils are an additional aspect to the process that contributes to calmness and feeling of wellness. I also purchase massage oil rather than make my own blend - perhaps one day I will feel confident to make this up myself. The essential oils in the massage blend are calming for the nervous system and soothing for the digestive system. Recommended to use at bedtime to calm and relax your child in preparation for a good night's sleep. "Massage has a stimulating effect on the immune system, reduces anxiety and stress hormone levels and is an aid in relaxation. It also enhances the parent-child bond through skin to skin contact, and releases the hormone oxytocin. Oxytocin has a calming and relaxing effect on your child. By offering your child a massage at bedtime, for example, you are calming your child’s brain, from the fight or flight (primitive brain), to the midbrain and limbic system (responsible for the emotional, social and compassionate experiences and for the ability to bond with others). Massage and nurturing touch activate the parasympathetic nervous system. Heartbeat slows, breathing becomes easier and stomach secretions increase. This is an ideal time for your child to receive massage, as this will prepare them for a great night’s sleep! "- Natalie Garmson iDibiDi Kids Massage. This is a lovely guide all about children's massage including massage rhymes, songs and games. Most valuably it also has a section on massage for childhood ailments such as congestion, headaches, abdominal problems with some colour diagrams and photographs. My children don't suffer from these but if/when they do I will be reaching for this guide. This guide also includes lots of lovely little tips that I hadn't thought of before such as introducing massage with relaxation music or doing the massage on a special soft rug or blanket. The best part of reading widely is being able to adapt the massage to the exact needs of the child at that exact point in time. There is also something very nurturing and reassuring about child massage. I think it also helps to build trust. I'd love to know your thoughts.